Credit is the ability to get goods or services before you’ve paid for them with the promise to pay for them in the future. Having "no credit" means you don’t have an established history of borrowing money and paying it back. Having credit is important for adults. If you want to get your first credit card or a loan, you need to have at least an average credit score, though excellent credit is, of course, best. Nobody is born with credit. In fact, you won't have a credit score at all until you've had at least one credit account within the past six months. This is the reason most teenagers and young adults often have no credit at all. Unless your parents made you an authorized user or joint account holder on their bank account when you were younger, you won’t have a credit history, and therefore, you won’t have any credit. It's possible to have bills you pay every month and still not have a credit score. 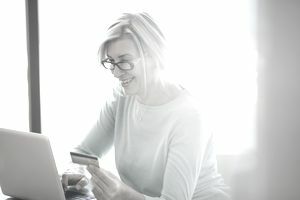 Not all companies you pay give a monthly report to credit bureaus which is why when you start building credit, there are certain things you should know about credit bureaus. For example, utility services, cell phone, and gym membership accounts aren't reported to the credit bureaus and won't help you build a good credit score. Not having a credit score isn't necessarily a bad thing. Your credit score, whether it's good, nonexistent, or bad, isn't an indicator of your economic standing or financial health. You can have a high salary and still have no credit, especially if you always pay in cash and you’ve never had a credit card, loan, or bill paid late. Having no credit isn’t the same as having bad credit. When you have bad credit, it's because you’ve borrowed money before without paying it back as agreed. Because of that, banks are and will be, hesitant to give you a credit card or loan. When you have no credit, you’re almost at just as much risk, because banks can't see a credit history to predict whether you’ll have the ability to pay back your loan on time. Banks want to be sure they’re extending credit to someone who is likely to pay them back on time. When you have no credit, you might find you get denied for credit cards, loans and other services requiring a credit check. There are many reasons you could get denied for a credit card. You may be able to able to get approved for some services, but you'll have to pay a security deposit, or even get a cosigner. When you have no credit, you're more likely to have your applications approved than when you have bad credit. But, it can still be tough. If you’re under age 21, you’re required to list your income or have a cosigner to get approved for a credit card. You can start building credit without a credit card, but it means you'll need to take out a loan. If you have student loans that you’ve started repaying or will start paying soon, these can help you start building a credit history. You can also ask a parent to add you as an authorized user to one of their credit cards. Their account history can help you qualify for credit on your own.